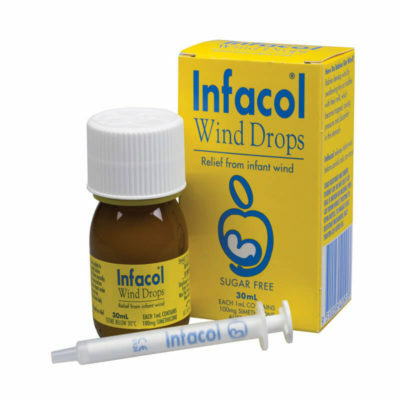 Infacol Wind Drops 30mL has been helping parents for generations as an effective method of treating wind in infants. Simethicone is the active ingredient in Infacol, which causes the small bubbles of gas in a baby’s stomach to join together. This forms a larger bubble which can be easily expelled. 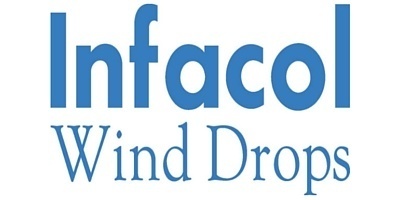 Infacol Wind Drops are not absorbed into the bloodstream, sugar free and don’t contain antacids. Each 30ml bottle contains enough liquid for up to 150 feeds and comes with a convenient dosage pipette. Infacol Wind Drops should be given before every feed to help relieve infant wind before painful colic occurs. Continued usage may also help to prevent further build-up of wind. Infant colic (or infant wind) is a common condition, affecting infants in their first months of life. It is not a serious medical condition and usually resolves by the age of 3-4 months. Colic is usually recognised by bouts of inconsolable crying, often for hours at a time, for no specific reason. For example, your baby is not hungry, overtired, needs a nappy change or has a raised temperature. Colic most commonly occurs in the late afternoon and evening, when your baby might cry out the pain.